You Can Rely on These Top 10 All Natural Antibiotics This Winter! Antibiotics are, and have been, a lifesaving medicine for millions. Unfortunately, the overuse or incomplete use of antibiotics has now created bacteria that are resistant to all known types of antibiotics. This means that, once again, unless we develop new antibiotics, bacteria will reign supreme and people will die from simple infections. You can avoid these dangers by only using antibiotics when you truly need them and by consuming all of the medication your doctor gives you. You can also avoid these dangers by using nature’s antibiotics whenever possible. Of course we aren’t suggesting that these are better than or even equal to prescription antibiotics, but many times these natural foods, spices, and oils will do the job. Want to know more? Keep reading and find out which are the top 10 antibiotics given to us by Mother Nature. This is perhaps the most common and most used all natural antibiotic. Simple, everyday cloves of garlic contain antifungal, antiviral, and antibiotic compounds. 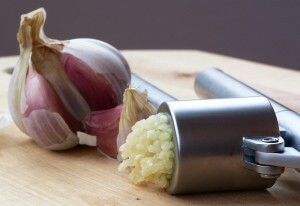 Garlic needs to be crushed or cut in order to release these compounds, however. So be sure to add plenty of garlic to whatever you are cooking to keep yourself healthy, even if it won’t get you voted Most Kissable! Native Americans have used this flowering plant for eons. It can treat bacterial infections, wounds, and keeps the immune system working properly. 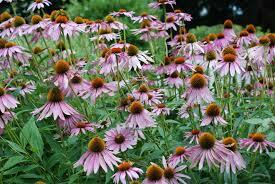 You can use Echinacea creams to treat many skin problems and stop infections. You can also take supplements to fight off internal bacterial or viral infections or to simply keep your immune system working at its best, drink a cup or two of Echinacea tea each day during the flu season. Please note that those who have immune disorders should avoid this supplement. This is a sweet remedy that has been used for hundreds of years! 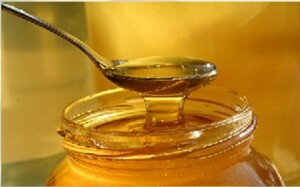 Honey contains antimicrobial, antiseptic, and anti-inflammatory compounds. Before bandages or antibiotics, honey was often applied to skin wounds to prevent infections, as well as being used as a face wash to prevent breakouts. Always use raw, organic honey for best results. Used in Chinese and Ayurvedic medicine for centuries, turmeric is a super anti-inflammatory with antibiotic compounds that not only destroy bacteria, but encourage the body to use its own natural defenses to heal itself. You can consume fresh turmeric via food or tea, take supplements, or mix turmeric powder with honey and milk for a super antibiotic potion! A chemical compound in oregano oil, called carvacrol, is such a powerful antibiotic that it has been known to work in cases where antibiotic resistant bacteria refused to budge! 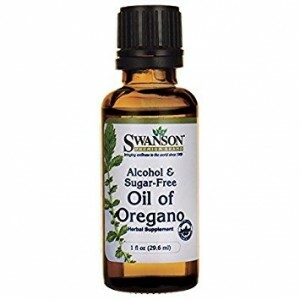 You can mix a few drops of this healing oil in water to bathe wounds, help stop skin problems, treat foot or toenail infections, and much more! For cough or flu symptoms, add a few drops to a pot of boiling water and breathe in the healing steam. 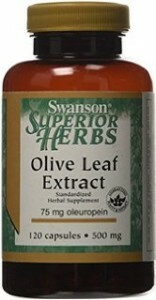 Olive leaves have good antimicrobial benefits, as well as a natural anti-inflammatory action. You can consume this one via supplements, or make your own tincture for external use by filling a jar with fresh olive tree leaves and covering them with vodka. Leave in a dark place for 4 to 6 weeks, then strain out the leaves. This makes a terrific wash to cleanse wounds or cuts. 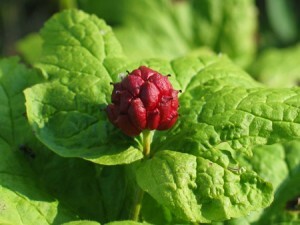 This is another herb that has been used by the Native People of America for centuries. It works well for both internal and external bacterial infections and activates the white blood cells of the body so they can fight infections naturally. This is very powerful medicine, however, and should only be taken for 3 or 4 weeks at a time. You can take supplements or make a tea from fresh leaves and flowers. 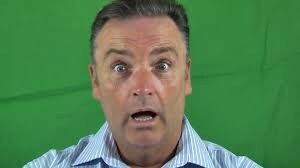 Be careful if you harvest this plant wild, however, as it is on the endangered list due to over harvesting. Consider growing your own! 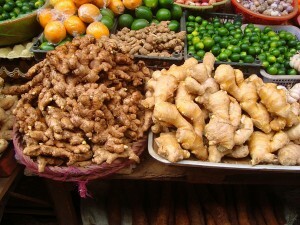 You might already know that ginger is a natural way to stop nausea and vomiting, but did you know that it can also help to stop food borne bacteria, such as salmonella? Drinking ginger tea after each meal ensures not only proper digestion, but will kill any unwanted bacteria and pathogens in your food. Sometimes called Indian Lilac, neem is another powerful plant that fights bacteria without the bacteria building up a resistance to it. 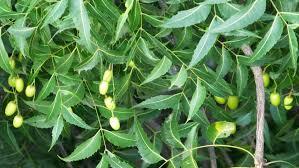 Neem oil is the perfect answer for oral problems such as gingivitis and bad breath. You can also use the leaves or powder to take care of most skin problems. These tiny but powerful seeds are terrific for their antifungal, antiseptic, and antiviral compounds. 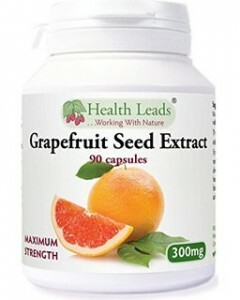 Grapefruit seed extracts have been shown to be effective in fighting more than 800 types of bacteria and viruses. You might want to consider taking these supplements during the cold and flu season this winter! It was the father of medicine, Hippocrates, who once said “Let your food be your medicine and your medicine be your food”. He was absolutely correct! Mother Nature has already provided us with almost everything we need to live a healthy, natural life; if only we would take advantage of it. By now, if you have read any health articles at all, you have heard that conventional meat and dairy products might contain antibiotics. 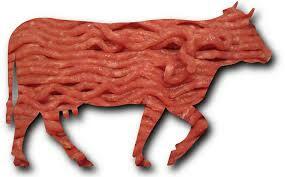 This is probably the driving factor behind the increased demand for free range meats raised without antibiotics. Sales of these types of foods increased more than 25 percent in 2012. While the overuse of antibiotics in animals used for meat can cause an increase in super bugs (bacteria that is resistant to known antibiotics), the same is true of people. The abuse of antibiotics in humans has also lead to super bugs being created. 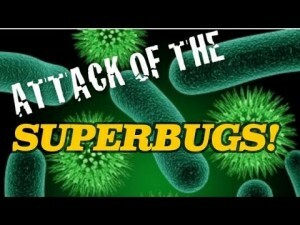 Super bugs can be passed from meat to humans and this can be not only serious, but deadly! Do you have reason to worry? Let’s take a look at the facts. To stop bacterial infections, farm animals, such as cows and chickens, are sometimes given antibiotics, very much the same way humans are. However, for milk cows, antibiotics are often given in low doses to help the animals give more milk in a shorter time frame. Low doses of antibiotics are often added to feed as well to encourage growth. 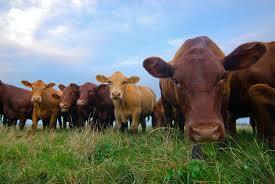 Low doses of antibiotics reduce animal death rate. For all of the above reasons, low doses of antibiotics are typically given to animals used for meat and milk, such as cows, pigs, turkeys, and chickens. Isn’t That Dangerous for Humans? Actually, no. Despite what you might have read or been told, the chances that you or a family member could consume antibiotics through your food is very, very low. There are strict rules in place that ensure that food contaminated with antibiotics cannot reach grocery stores. Livestock owners, as well as vets, are bound by law to ensure that drug withdrawal time periods are enforced before meat, eggs, or dairy products are used as food. This allows the antibiotics, and other drugs, to leave the animal’s system. In America, the USDA has a very strict process of testing meat, eggs, milk, and poultry for contamination from drugs and antibiotic residue. In fact, there is no evidence that anyone has ever been harmed if antibiotic residue were to somehow make it into the food chain. One study, done in 2010, found that less than 0.8 percent of all animal products tested, had antibiotic residue. Those food items were destroyed, by the way. So regardless of what some websites might be screaming at you in bold text, they won’t ever show you proof that someone was harmed because no one has been. Why Are People So Upset about Antibiotic Use in Animals Then? Bacteria that are constantly exposed to antibiotics do what Mother Nature designed them to do; become resistant to them and evolve so that antibiotics are no longer a threat. This is a tremendous concern for public health. If bacteria become immune to our current supply of antibiotics, millions of lives could be lost to disease. 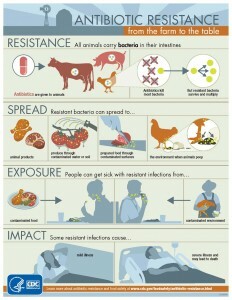 These antibiotic resistant bacteria, often called super bugs, can be passed from animals to humans. Meat that is contaminated with this type of bacteria can pass it on to humans if the meat is not cooked thoroughly or if it is not handled properly. For example, people who consume produce that was sprayed with animal manure fertilizer that contain these super bugs can also become infected. In fact, one study found that persons who lived close to fields that were fertilized with pig manure were at a much higher risk for developing one type of super bug called MRSA. Humans can also spread these super bugs from person to person. Aren’t Organic or Free Range Meats and Dairy Products Safe? Unfortunately, no. While you might see products in your supermarket listing themselves as “antibiotic free” or “Free Range Organic”, this does not mean that these products cannot contain these super bugs. One study found that chickens that were labeled as “Free Range and/or Organic” were much more likely to be contaminated with campylobacter or salmonella bacteria that non-organic chicken. While it might be impossible to avoid super bugs in foods completely (unless you raise and butcher your own animals), the truth is that your risk of becoming contaminated is very, very low if you follow safety guidelines. Practice Good Hygiene: Use separate cutting boards for different meats and another one for vegetables. Always wash your hands frequently and wash both utensils and cutting boards in hot water. Rinse cutting boards with bleach on a regular basis. Cook Foods Properly: Cooking meat to the correct temperature will kill any bacteria that might be present. Buy Foods that State “Antibiotic Free”: While this isn’t a guarantee that your food is not contaminated with bacteria, studies show that these types of meats and dairy products have fewer super bugs. Don’t be afraid to eat a wide variety of foods, including meat and dairy products. Handling and cooking food properly is the best way to avoid a bacterial infection.